In this post, we bring you the top 5 tech events you can’t afford to miss across the world. With the 2018 OurCrowd Global Investor Summit coming up, we know the value of a fabulous tech conference. Been to some of these? Let us know what you learned, and don’t forget to sign up for the 2018 Summit! This conference switches cities regularly, attracting a varied and supremely startup friendly crowd. With several unique events like thier famed startup battlefield to bring fame and fortune on the winner of the Disrupt Cup, and startup alley, a chance to hear from the latest and most brighteyed new companies, TechCrunch Disrupt is a great event. Dec. 4-5 2017 Berlin, Germany. SXSW is one of those events you have to experience at least once. This larger-than-life Texan bonanza is largely focused on interactive film, media, and music, but is a boon for technology surrounding those industries. With multiple tracks, SXSW Interactive shows off emerging technology to the hottest audience. March 9-18 2018 Austin, Texas. This conference is held in eight cities across North America, from Dallas to Miami, highlighting the best of their local ecosystems. With their angle on what they deem “Hero Companies”, aka those companies making an impact towards growth and sustainability, it looks beyond the flashiest new startups and recognizes many local upstarts. Varying dates. Detroit, Toronto, Chicago, Kansas City, D.C., NY, Dallas, LA and Miami. One of the oldest tech conferences, CES is essentially a tradeshow on steroids, and is the largest event of its kind. With thousands of exhibitions, 170K attendees, and everything tech from hardware to new tech delivery system, this event is a mainstay for conference junkies. It is closed to the public, so be sure to register. Jan 9-12 2018, Las Vegas, Nevada. This conference features the best of what the famous Israeli tech ecosystem has to offer, with 100 speakers, 70 exhibition booths and many more surprises, this high-energy one day event shines in the heart of the startup nation. Every breakthrough in AR/VR, AI, deep learning, MedTech/digital health and of course new Israeli darling Mobility Tech, the Summit is a remarkable event put on by equity crowdfunding leaders OurCrowd. Bringing a more international vibe, tiny seed stage startups share the spotlight with corporate giants in a delightful futuristic mashup. And unlike its counterparts, which can run upwards of $1,000, the event is entirely free. Apply here. Feb 1, 2018, Jerusalem, Israel. In our fast-changing digital world — where new mobile apps continue to transform the way we live, work, and play — FinTech is reshaping how we handle our money online and on the go. Take a look, just as an example, at peer-to-peer (P2P) money transfers and remittance, which are worth well over $1 trillion. Today, only a small part of those transactions – in the US, about $5 billion – are conducted via mobile. But mobile transaction volume is likely to grow exponentially in the coming years —driven by FinTech innovation — such that (according to some estimates) P2P transactions could conceivably jump to $86 billion in the US by 2018. With the future growth of FinTech intricately linked to mobile technologies, mobile payment solutions are an important piece of the puzzle. Here are some of the ways that mobile apps are already redefining and reinventing how our money is being shared, received, and transferred via mobile. It’s become more convenient to repay people digitally using P2P payment services, than to pay using cash. Some of the better known apps for splitting checks, paying the rent, settling up between friends, or lending money to family are PayPal, Venmo, Square Cash, and Google Wallet. Signing up for these services is quick and free, with apps available for iOS and Android. The apps streamline the mobile payment process, often requiring only the email or mobile number of the recipient, and they may also be the cheapest way to send money — as many services are free. PayPal, the best known service, has a corporate, well-established reputation. It is unique in terms of size — in the first quarter of 2016 (according to their own statistics), PayPal’s net payment volume amounted to $81.06 billion — and global status, with full service in 203 markets and 26 currencies internationally. Founded in 1998, it’s a long-standing service that people adopted back in the days when eBay was the place to buy online, and PayPal was how you paid. PayPal allows transactions of up to $10,000, more than you can transfer using the competition. However, PayPal is frequently more expensive than the alternatives. Debit and credit card transactions incur a 2.9% fee plus a flat 30-cent fee — while other apps transfer money for free using linked debit cards. Venmo, initially released in 2009 (and acquired by PayPal in 2013), is so popular among millennials that the verb “to Venmo” has taken off. Designed for payments to friends, Venmo has a social side to it — a newsfeed telling you who bought what — that other options lacks. 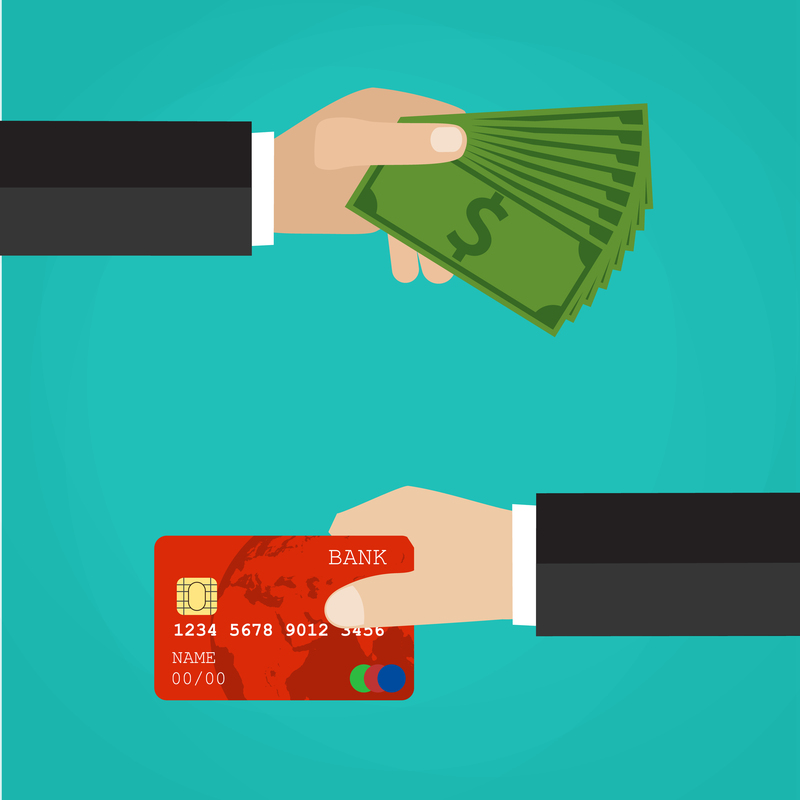 In fact, its website states that the service “is designed for payment between friends and people who trust each other.” With Venmo, it’s free to send money from your bank account and from most debit cards (and it’s always free to receive money), but there’s a 3% fee on credit cards and on some debit cards. The company, which processed $2.1 billion in transactions in the third quarter of 2015, may be the fastest growing of the P2P mobile options, with a reported 202% growth in 2015. Square Cash, which went public in 2015, makes it very easy to send or receive money directly from or to a bank account linked to your debit card, and most of the payments deposit instantly — though some can take one to two business days, depending on the bank. This is a big differentiator between Square Cash and other apps, which keep money sent to you in your app’s account as a balance; from there, you have to take the extra step of transferring the money to your bank account. 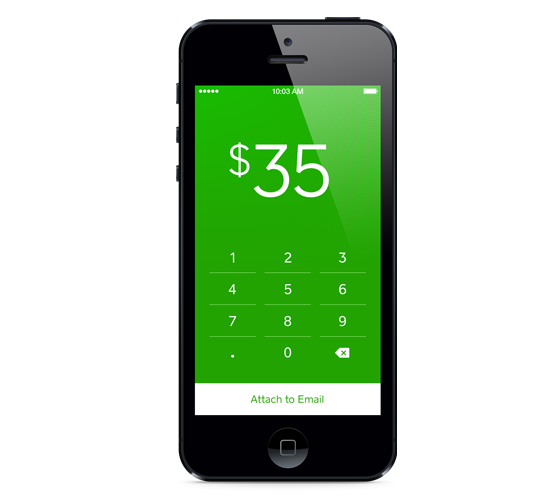 Square Cash is designed for use with debit cards, and it’s free of charge. It also has the advantage of allowing you to send and receive money with $Cashtags, a unique screen name that allows you to pay or receive payment anonymously — and it’s the easiest way for non-Square Cash users to pay you. They just need to click on a link to go to your cash.me profile. Then there’s the new Google Wallet, released in September 2015. 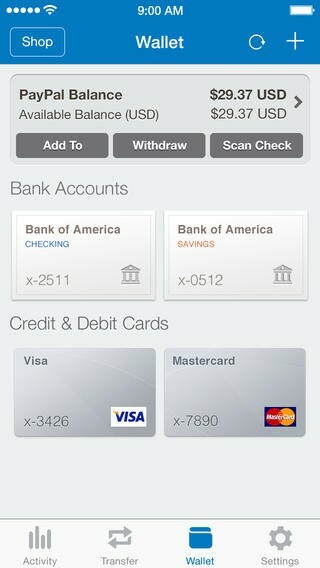 Unlike the old Google Wallet app, the new one is exclusively for P2P payments. What happened here is that Google split up the mobile payment functionality and money management into two different apps: Android Pay (for in-store and eventually online transactions), and the new Google Wallet (for P2P money transfer and the use of a physical Wallet Card). 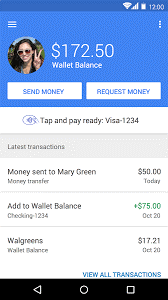 Google Wallet makes it free to send money directly from your bank account, debit card, or Wallet balance, and allows you to send or receive money using an email address. Another advantage of the app is that spending limits are quite high: $10,000 per transaction, or $50,000 per five-day period. 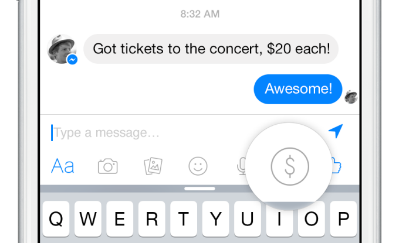 In March 2015, Facebook unveiled a new payments feature for Messenger. To use it, you connect a Visa or MasterCard debit card and tap a dollar button to send friends money, straight from your bank account. The free service is a big deal for Facebook — an opportunity for the social media giant to obtain and store the debit card information of everyone who uses the payments feature — and is another step in Facebook’s efforts to become an e-commerce engine, something along the lines of Amazon. Like Apple and Google, Facebooks wants both your time and your money. Because Facebook is so popular, the payments feature has the effect of making it easier for a significant percentage of the population to send and receive cash. As of March 2016, Facebook’s social network was being used by over 1.65 billion monthly active users (according to Facebook’s website), and Messenger already boasts around 900 million active users worldwide. NFC: The apps use information transfer technologies such as Near-Field Communications (NFC) to interact with appropriately equipped payment terminals — which poses a problem, since most business retailers don’t have the required NFC Reader. MFC: Of the three leading apps, Samsung Pay has an advantage with its Magnetic Secure Transmission (MST), which allows a contactless payment to be made with terminals that do not feature NFC readers. MST is a mobile wallet technology developed by startup LoopPay that can send payment information to conventional terminals in stores that have the old-fashioned magnetic strip, so that (unlike NFC) it’s accepted at most registers. Compatibility Problems: But Samsung Pay has other issues of compatibility — specifically, it’s only supported by the higher-end Samsung phones, and needs a US (not an international) model of those phones on a supported carrier. As a result of these limitations, Google, Apple, PayPal, and a host of newer companies are exploring the development of digital wallets that utilize other technologies such as WiFi and Bluetooth. Widespread mobile wallet adoption may still be in the future, but don’t dismiss it. 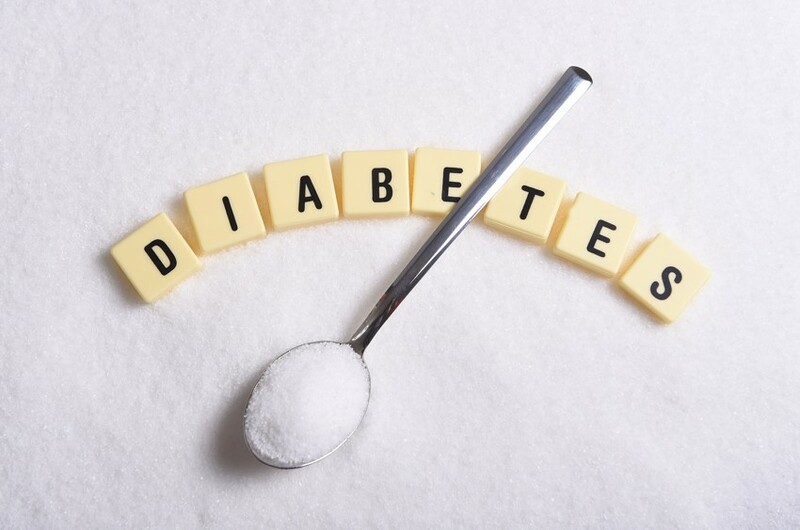 The technology has compelling advantages. Aside from eliminating that pile of credit cards and loyalty cards that are squished in your wallet, mobile-first payment technologies make heavy use of encryption and have extra password security or biometric security devices to keep money safe from unauthorized access. As a result, advocates say, processing a digital transaction through modern encryption technology is less risky and more efficient than swiping a physical card or carrying cash. From the business side, digital wallets give retailers some new options. They allow businesses to offer customers a more convenient transaction processing method, providing those who employ the technology with a competitive edge in the market and incorporating a novel aspect into each purchase. Digital wallet apps also enable retailers to experiment and find new ways of integrating loyalty programs and coupons automatically into payment procedures. While the full impact of mobile wallet and P2P solutions remains to be seen, one trend seems clear: It paves the way for an increased number of credit card transactions. To understand the magnitude of the trend, keep in mind that in 2015, it is estimated that over two billion people used credit cards to make nearly 80 billion transactions, up over 100% from 2010. Yet in 2016, nearly 85% of household expenditures, including taxes, rent, mortgage payments, car payments, and tuition payments, still demand payment by check or bank transfer. As more and better mobile payment solutions enter the market, the mobile revolution is likely to expand the application of credit and debit cards, and bring additive transaction volume to the cards — allowing card networks to begin processing payments (for example) for things like taxes and tuition. FinTech innovation is spurring a fundamental change in our payment habits, habits that are becoming increasingly mobile and increasingly card-based. Primarily, that’s because mobile is convenient — and in 2016, convenience is king. To find out more about alternative payment technologies and other investment opportunities on our platform, contact our Investor Relations team or visit our website. Before mobile phones were developed in the 1970s, dreams about handheld phones that worked anywhere and everywhere were brought to life in the world of entertainment: in the 1960s, the character Maxwell Smart often talked on his famous shoe-shaped phone in the television series GetSmart. Before that, a 1931 children’s book, Conrad’s Ride to the South, portrays a man who keeps a phone in his pocket to use while he is out and about around town. After a series of vehicle-based phone systems were developed in the 1950s, the first handheld mobile phone was introduced by Motorola in 1973; weighing more than two pounds with a battery life of only 30 minutes before needing to be recharged for a full ten hours. Not only are today’s phones a fraction of that size and able to be recharged in minutes, but are for much more than talking. Today there are more mobile devices than people on the planet. 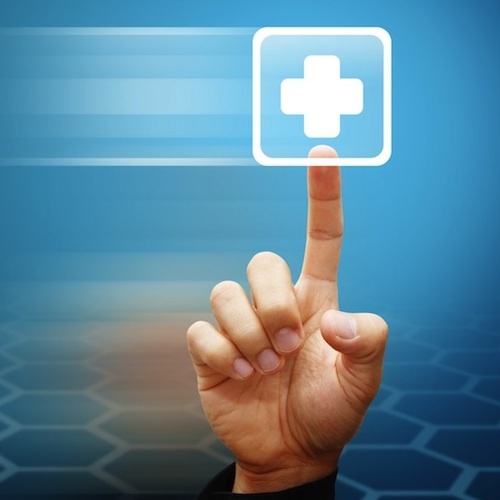 And there is still massive potential for the mobile market, with devices on their way to replacing, at least partially, not only the need for a separate camera, street map or video game console, but also for doctors, medical devices, and lab tests. In addition, traditional devices, tools and objects are increasingly Internet-connected, and tied to smartphone apps. It is apps, doing everything from banking to healthcare, and the growth of internet-connected objects that are the future of this market. “The days of heady hardware growth are long gone,” according to Business Insider. The development of analog cellular networks first made mobile phones widely commercially available, beginning with Ameritech’s system in the 1980s. But these phones were simply for talking and were often wired into cars. In the 1990s, a second-generation, known as 2G, emerged, a phone with digital rather than analog transmission, allowing for such features as SMS text messaging, downloadable ringtones, mobile payment systems and limited web browsing; this switch to digital transmission would turn out to be key and, eventually, pave the way for smartphones. Throughout the 1980s and 90s, phones continued to shrink in size and price while their battery life increased. In addition to the critical switch from analog to digital transmission that occurred in the 1990s, at the heart of future of the mobile market is the smartphone. Although the first smartphone was developed in 1993 by BellSouth and IBM, and grew in popularity among professionals with the advent of the BlackBerry in 2002, it did not reach the mass consumer until Apple launched its iPhone in 2007. Shortly thereafter, several companies followed suit, releasing smartphones running on the Android platform, including Samsung, which first released its Galaxy in 2009. It is smartphones –and their apps — that have fueled the growth of the mobile sector, making it relevant to all areas of life, not just phone calls. With about 1 billion smartphones being sold a year, the app market is estimated to be worth $77 billion by 2017. It is cloud computing, through which mobile phones can collect and receive real-time data analysis, that is driving the way mobile devices change the world. For example, startup Consumer Physics has developed a tiny spectrometer that reads the molecular makeup of objects ranging from apples to makeup, instantly sends the data for cloud analysis, then sends information back to the user’s phone telling them when the apple will be ripe, or what chemicals are in the lipstick. Such an app informs consumers’ buying choices, and this is just the beginning of basing decision and behavior on such data. 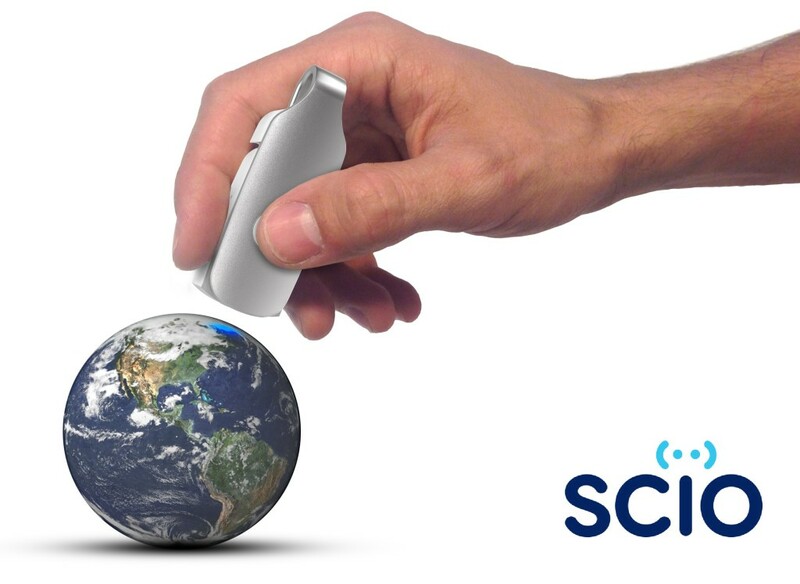 SCiO has far-reaching potential in the world of health, agriculture and almost every other field. As the recent past has shown, it is clear that mobile devices will become increasingly multifunctional through the cloud-connected apps they offer. As for the smartphones and other devices themselves, the trend is toward smaller, wearable devices, and toward devices that can be more easily physically integrated into daily life, as shown by Samsung’s development of a bendable phone. Although predictions abound for what, exactly, the future will looks like, it is clear that the mobile market will continue to grow, and not only, as in the past, through developing a smarter phone, but also in integrating everyday objects, from one’s pet cat to the apple in the supermarket into the digital world. Though today, a shoe is not simply somewhere to hide a phone, like in the days of GetSmart, now, through technology developed by Pixie, the shoe itself, through a small tag, can be turned into a mobile digital device that users can track with their mobile phones, never again left scrambling to find their shoes before rushing off to work in the morning. 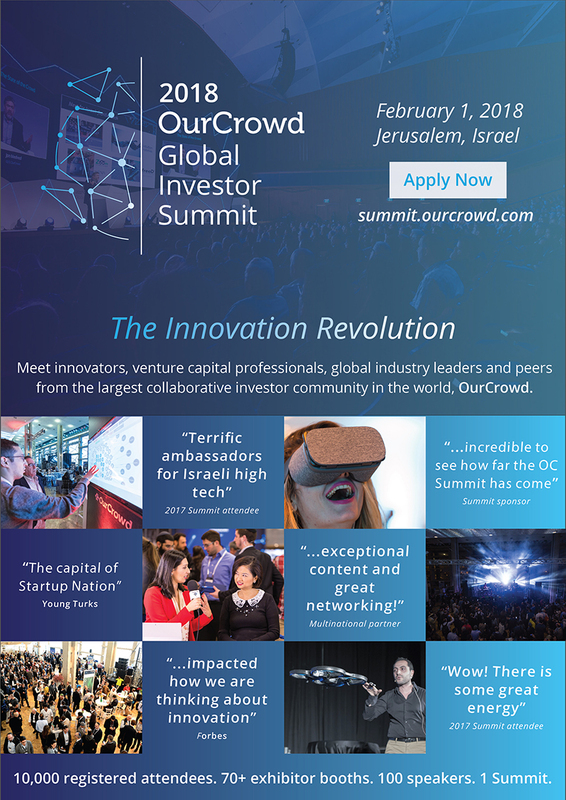 Stay tuned for more information on future mobile technologies and investment opportunities at OurCrowd’s 2016 Global Investor Summit in Jerusalem next week (January 25-26)! 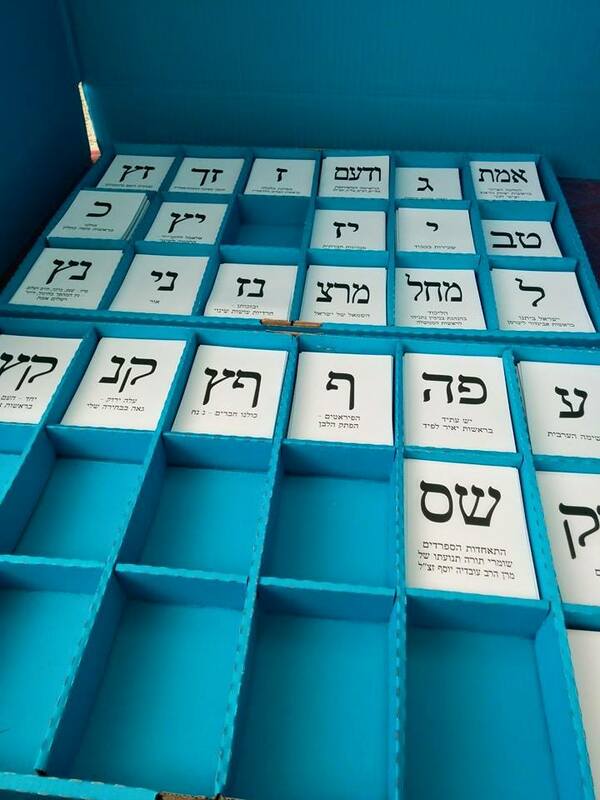 Yesterday — after months of campaigning, exhaustive deliberating, and relentless political advertising by competing parties — millions of Israelis flocked to the various polls across the country to carry out their democratic right and vote for their next government (the election had an impressive 71.8% voter turnout, the highest since the 1999 elections!). 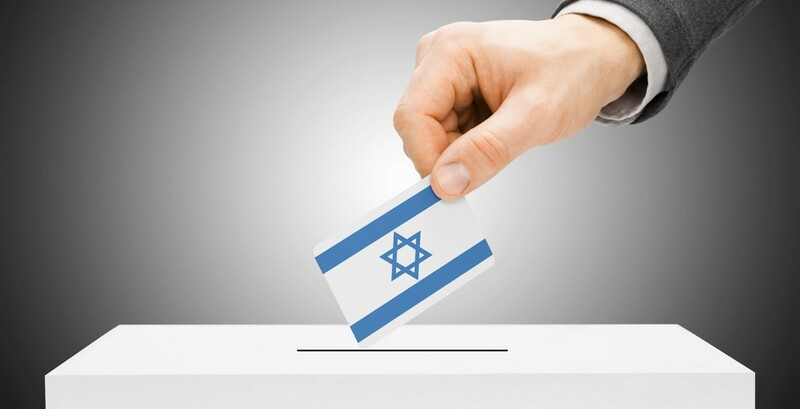 As Israelis exercised their right to vote in Tuesday’s election, it’s important to note that on a daily basis the Startup Nation exercises its right to be innovative. Israel has earned international acclaim for its cutting-edge innovations, successful entrepreneurs, and research in the fields of science, technology, medicine, and the environment. 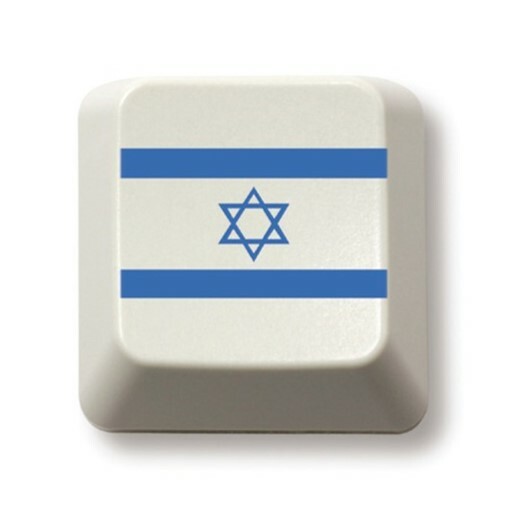 Over the past few months leading up to the Israeli elections, the country’s thriving startup ecosystem has been exhibiting similar ingenuity and creative execution in another, somewhat unexpected area — citizenship and civic duty. It’s evident that technological advancements and the growing use of smartphones enable individuals from all over the world to join together and propel real change. Now that technology meets public engagement and philanthropy, many more people can become involved in their communities in a meaningful way. Elections 2015 App: The Israeli E-Gov Unit has developed the application in order to provide the public with up to date information regarding the general elections. iVote App: A non-profit mobile application that aims to encourage people to discuss political issues, allowing for different perspectives and opinions to be heard in a moderated, respectful online space. WePowerApp: The application intends to give a voice to the growing number of disenfranchised citizens by empowering smartphone users with tools for defining their views, expressing their frustrations, and collaborating to achieve common goals. Goodnet: Israeli web portal Goodnet, Gateway to Doing Good, connects people around the world with opportunities of good doing – from volunteering, charity work, microfunding and creativity to green tech, water conservation, collaborative consumption and mindful living. Give2gether: A SaaS fundraising platform that’s tripling donor conversion rates using its own game theory optimization algorithms. The company aims to improve people’s lives — those who receive, those who give and those who inspire their community to open their hearts for a cause. After a very successful year in 2014 when Israeli startups have been turning heads and smashing records, it is great to see that they’re kicking off this year with a great start. 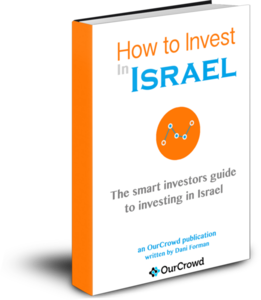 As 2015 gets underway, the success of Israeli startups is expected to continue, and OurCrowd has a great ringside seat for seeing what’s trending right now and finding the best investment opportunities the Startup Nation has to offer. To find out more about investment opportunities in Israeli startups on our investment platform, click here. With over 1 million apps available on the platform, Google Play is the world’s largest app store. Each year, Google sifts through the multitudinous apps they offer and puts together a list of the best Android apps of 2014. Among the 75 apps the tech giant has highlighted as the ‘best of the best’ this year in their respective categories, four of them were developed by Israeli companies. 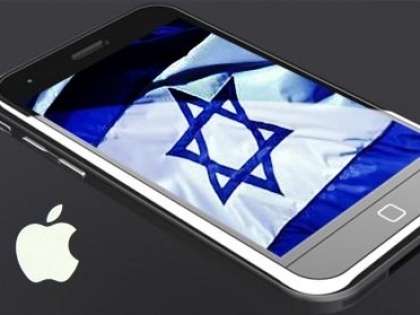 The strong presence of Israeli apps across the industry’s various lists and rankings over the past few years reflects the continuous growth and advancement of the Startup Nation’s mobile ecosystem. Besides being very useful additions to anyone’s collection, these photo & video editing, finance, and social apps represent the finest of Israeli mobile app innovation. OurCrowd portfolio company, BillGuard is a personal finance security company harnessing the collective knowledge of millions of consumers to protect everyone from unwanted and unauthorized charges on our credit card bills. 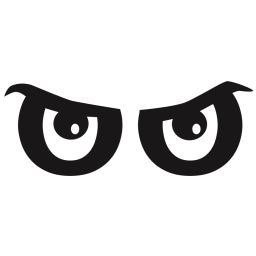 BillGuard scans your card activity daily and alerts you to hidden charges, billing errors, misleading subscriptions and scams found by others. Here’s what the company itself had to say about being named best app in 2014. 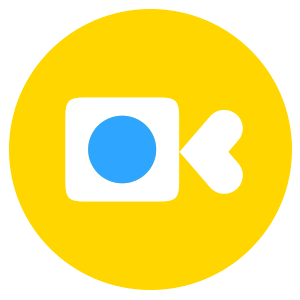 Founded in 2013 by a team of veteran entrepreneurs, Samba takes traditional video messaging and kicks it up a notch. 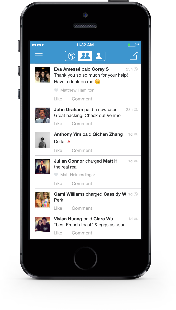 With the app, users can send videos to friends and see their genuine reactions captured as they view it. Developed by Israeli startup Lightricks, Facetune is a mobile app that enables every smartphone user to create high-end portraits from everyday photos – turning regular users into retouch pros, enabling them to easily achieve magazine-level results with their pics. Founded in 2011 by Google veterans, Scoompa‘s mission is to create mobile applications in a scalable way, creating predictable revenue streams. The Israeli company’s Video Collage Maker allows users to select photos used to create a beautiful short video collage (grid of photos). As the world’s #2 startup ecosystem, it’s not surprising to find Israeli companies on Google Play’s list of Best Apps of 2014. Israeli startups have always been at the forefront of business and creativity, finding new ways to leverage technology for the better. OurCrowd is extremely proud of its portfolio company, BillGuard, for achieving a spot on Google’s list. Even as 2014 comes to a close, the general expectation of Israeli startups continues – their success will carry on straight through 2015. Hundreds of Israeli apps are launching into the market right now and OurCrowd has ringside seats for seeing what’s trending right now and finding the best investment opportunities the Startup Nation has to offer. Back in October during Apple’s media event in San Francisco, it was revealed that Apple’s iOS App Store lists more than one million apps and has generated $13 billion in revenue for developers since it was first introduced. The Next Web, a leading website for international tech news, put together a list of the more notable apps and services to launch for Apple’s mobile platform in 2013. 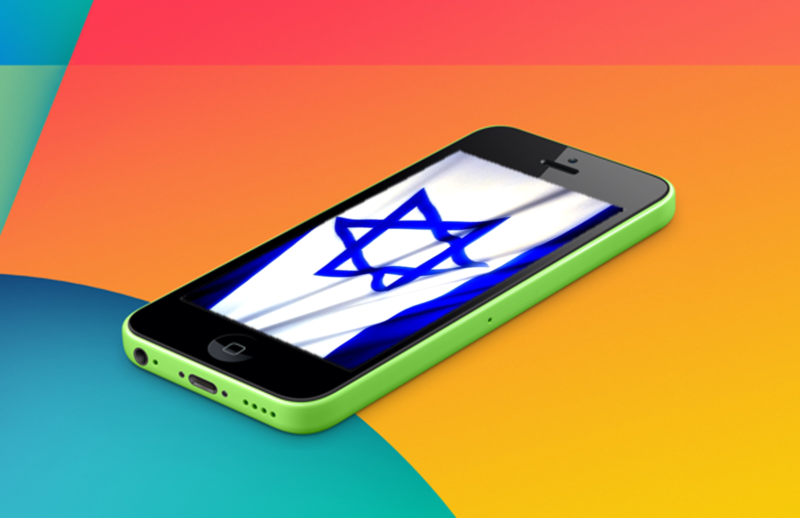 Out of the 89 apps listed by TNW, 8 of them are Israeli products fresh out of the Startup Nation. Besides being very useful additions to anyone’s collection, these smart calendars, budgeting tools and funky cameras represent the crème de la crème of Israeli innovation. 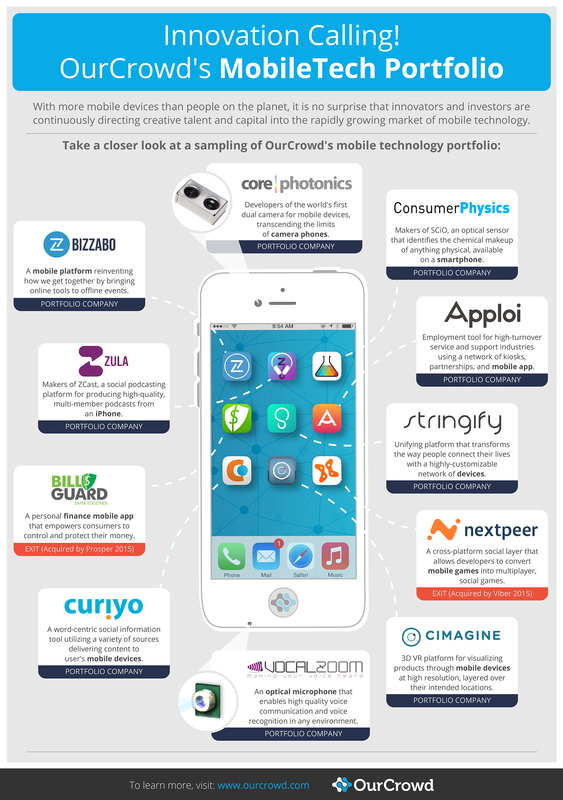 We were very excited to see OurCrowd’s portfolio company Takes on the list! 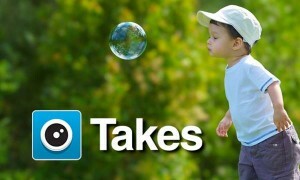 Takes is a cool app that lets you capture video simply by taking photos. Every time you snap a picture, Takes is capturing video, too. It effectively provides a brand new way for you to share your experiences by simply doing what you already love to do, capturing still images on your smartphone. Israeli music app Serendip is a social music discovery service that connects you with your music friends, who share your music taste and love for music. 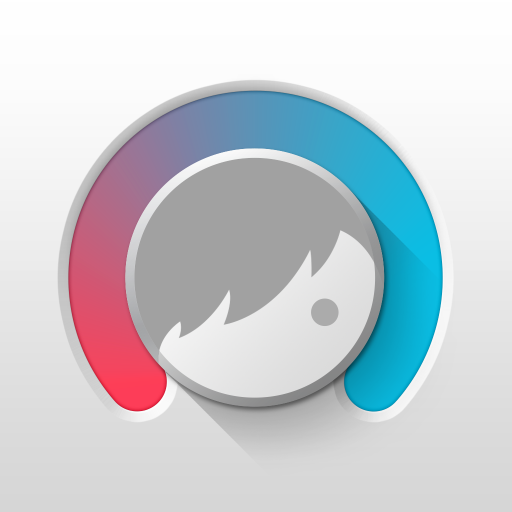 The music they are sharing will become your playlist and you can share your favorite tunes with them. 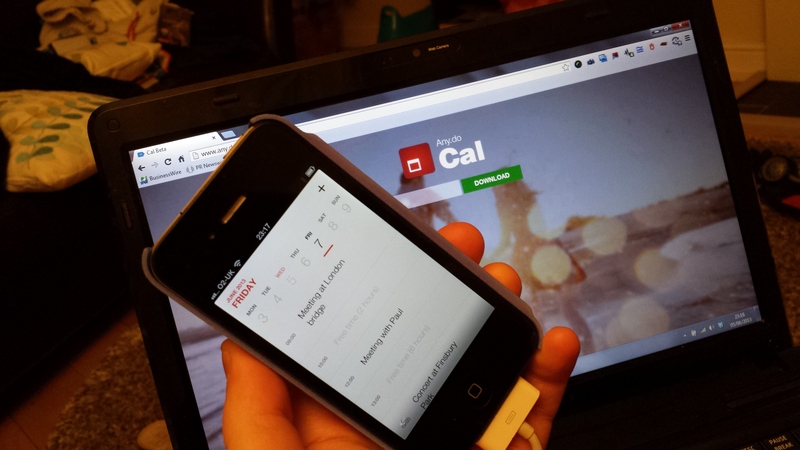 Israeli startup Any.Do launched a smart calendar app called Cal. The app’s uniquely designed interface gives you clear perspective on what’s on the horizon of your day and what’s already been accomplished. 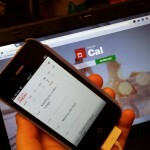 As your day goes along, Cal is right there with you, up to speed on your progress with a host of newly designed features that add to your momentum. Jerusalem-based startup Lightricks’ photo editing app, Facetune, lets you touch up your photos automatically and edit your portraits to perfection. Editing tools available include whiten, smoothing, details, reshape, patch, tones, red eye, de-focus and filters. 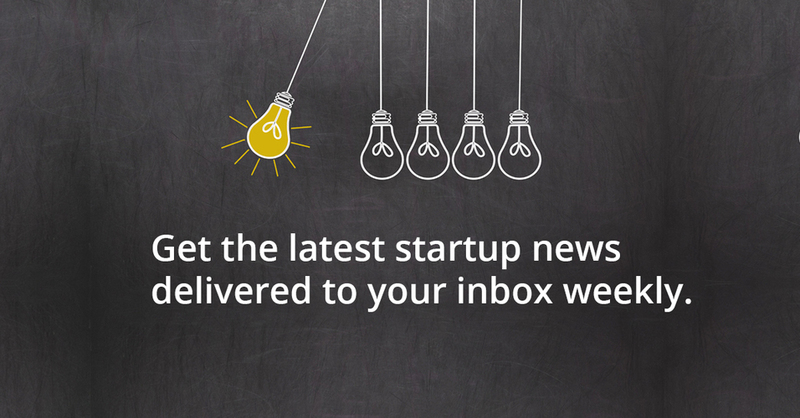 Israel’s Perion has developed an app called Molto (formerly Incredimail). The app is designed to deliver your messages from any of your existing email accounts with a social feel that emulates social networks and mobile messaging apps. 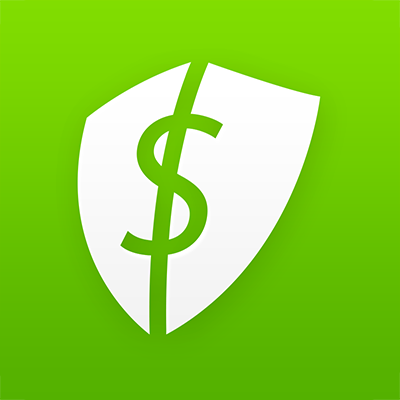 Israeli startup BillGuard‘s smart money app is the fastest, easiest and most elegant way to manage personal finances. It helps you stay on top of your spending, lower your bills at your favorite places, and protect your cards from unwanted charges. 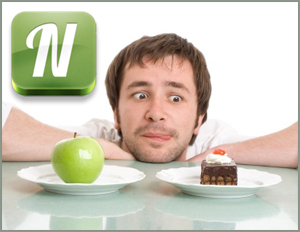 Israeli Nutrino is a virtual personal nutritionist. 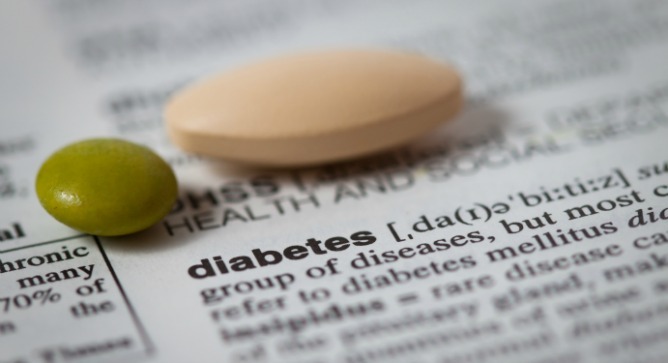 The app uses your medical and physical profile, your eating habits, preferences, and creates a meal plan tailored to fit your needs. Israeli mobile gaming startup JoyTunes, winner of “World Summit Award” from the UN and “Parents’ Choice Award”, knows how to make practicing the piano fun! 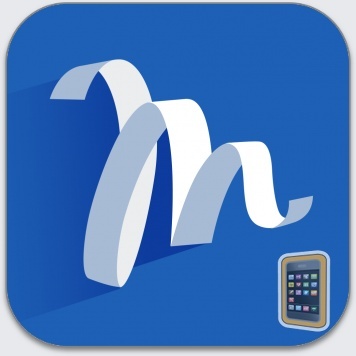 The Piano Mania app helps you learn to read sheet music and practice rhythm and technique on your piano or keyboard. Until recently Israel hasn’t had a lot of success with consumer apps, but the lucrative Waze-Google acquisition may have finally put Israel on the map as a major player in consumer innovation. 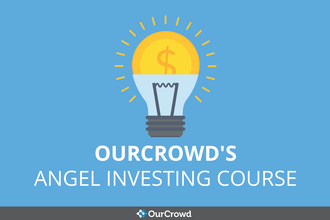 Israeli mobile apps are launching into the market right now and OurCrowd, an equity crowdfunding site for accredited investors in Israeli startups and based in Israel, has a great ringside seat for seeing what’s trending right now.